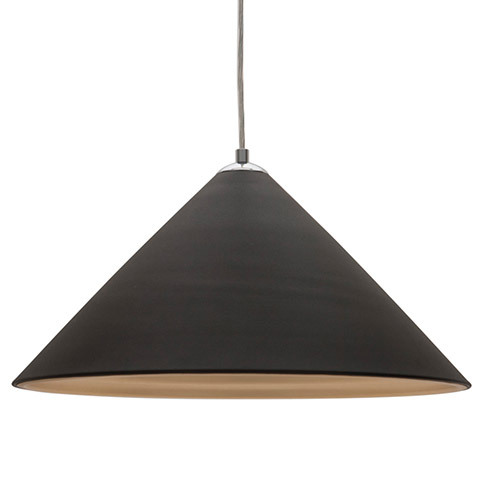 The Colette Pendant Lamp features a conical shade with an anodized matte black exterior and an elegant gold interior. The unsurpassed quality of Colette makes her pefect for modern residences, restuarants, hotels and offices. The lamp requires one (1) E26 100W max bulb which is not included with the lamp. The shade is 18-inches in diameter and 9-inches tall. The overall height is adjustable up to a maximum of 106-inches. Download the full spec sheet here!